The Devil seems like the last being you’d want to end up chatting with during an EVP session. Real recordings of the Devil are impossible to verify, but that doesn’t make them any less spooky. Whether you’re a non-believer, on the fence about the existence of Satan, or are 100% sold, these supposed times the Devil spoke to people are worth consideration. 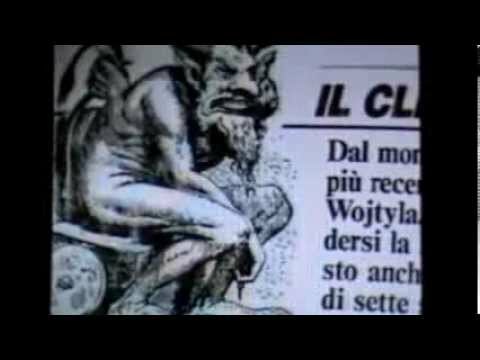 There’s something inherently unsettling about these creepy recordings of the Devil. It’s not just that they might prove the existence of ultimate evil - it’s the way they sound, and the phrases that are used. Instead of logical sentences, this audio that might possibly be the Devil is made up of phrases like "thrill kill," "come closer," and unintelligible moaning. Are these clever hoaxes, or chilling proof of another plane of existence? Either way, these recordings are best listened to with the lights on. An English paranormal investigator named Daniel recorded an incredibly long conversation with a spirit claiming to be the Devil. He used a spirit box, a device that supposedly allows spirits and paranormal entities to relay information by manipulating a variety of frequencies and radio stations. At one point in the recording, the entity even began to mimic Daniel's voice. The Devil Wants "To Terminate"
The paranormal investigators over at Live Scifi recorded a session with a spirit box that was believed to be haunted by the Devil. The spirit box shouted, "The Devil," "The Devil," "The Devil," over and over again. And things got weirder from there. When asked what the Devil wanted, the spirit box gave a simple, chilling answer: "To terminate." 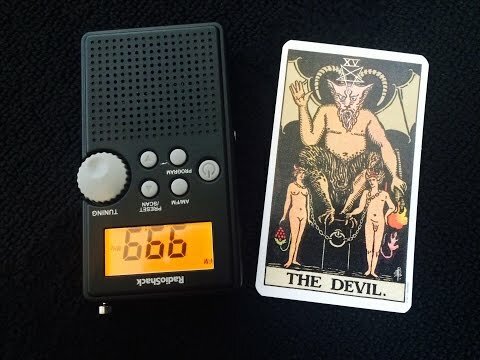 This paranormal investigator claims that, for two months prior to his EVP session in a local cemetery, he had been receiving the message "malice" on his Ovilus, a device that converts environmental readings into words. When he decided to get to the bottom of the mystery and asked who had malice towards him, he received the message: "I am the Devil, and your real god." This voice, which was recorded during an exorcism, allegedly came from someone who was possessed by a demon. The video's poster seems to believe that the voice belonged to Satan himself. Regardless of which specific demon the voice belongs to, it's not a pleasant listening experience.